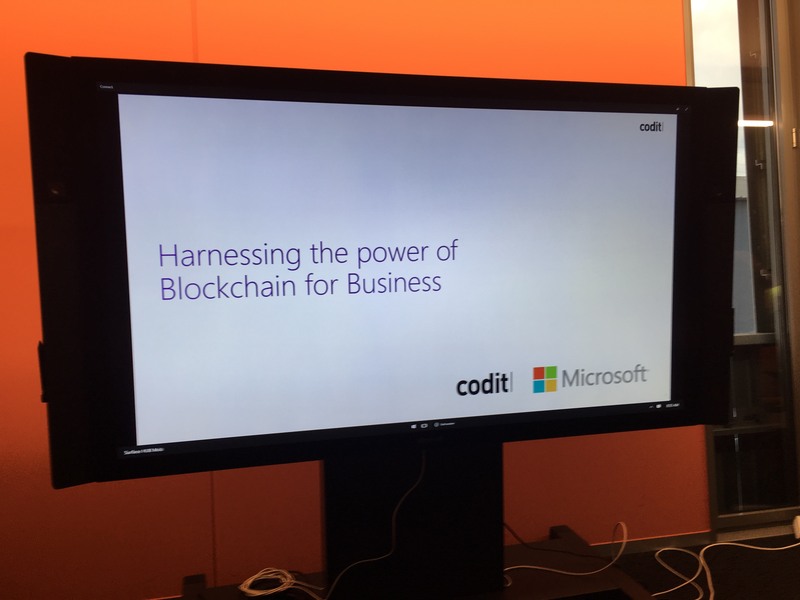 On the 3rd of December, Codit and Microsoft Switzerland teamed up to deliver an intensive Blockchain workshop entitled, ‘Harness the Power of Blockchain for Business’ in the Microsoft headquarters in Schweiz. The day-long workshop was split into two sessions, one in the morning and one in the afternoon. The morning workshop was aimed towards technical decision makers where they discussed different use cases for Blockchain according to varying industries and business verticals. Amongst the use-cases discussed, participants could see the applicability of Blockchain within contexts of audit, lineage and provenance as well as security. Together, they participated in debate on the pros and cons of Blockchain when applied to real life scenarios, to gain a better understanding of how the technology can enhance their business processes and gain a competitive edge. The main aim of this presentation was to look beyond the hype created by crypto-currencies and explore practical, business use cases that have nothing to do with coins and tokens. 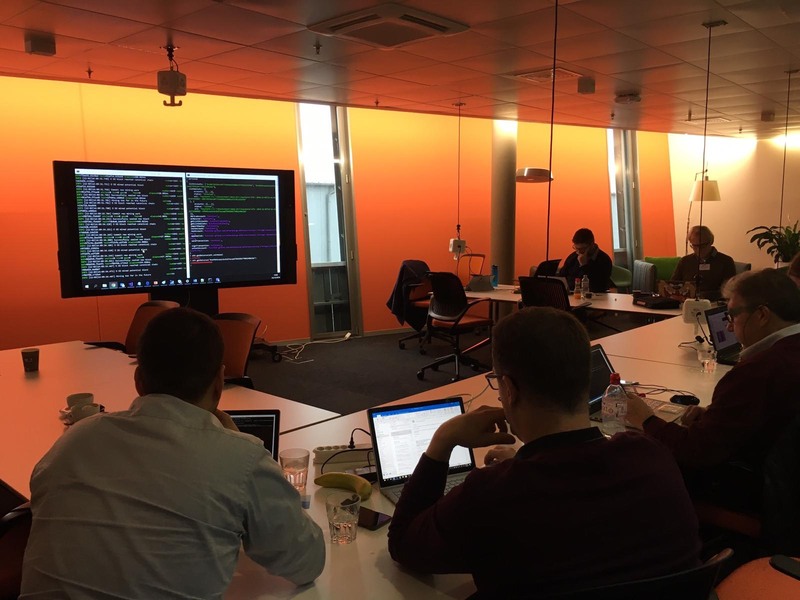 Participants also had the opportunity to take a look at Codit’s end-to-end, IoT-ready, Fresh Goods Blockchain Proof of Concept, built on Ethereum on Microsoft Azure. This let participants understand how Blockchain is not a standalone technology but can unlock potential with IoT or AI use cases. The afternoon workshop took had a much more technical approach. Together with Blockchain experts Edward Magrin and Henri Dethier, the attendees delved into Ethereum. Using Geth, they were able to look into the set up of nodes (on both Proof-of-Work and Proof-of-Authority), Smart contracts and tools such as Ethstats and Remix. Finally, they looked at how Ethereum can be deployed using Microsoft Azure. The aim of this part was to clarify the potential of Microsoft Azure in support of Blockchain together with tools such as the Blockchain Workbench. Would you like to learn more about Codit’s Blockchain solutions? Click here and discover more about our Blockchain solutions. Together with T-Mining we explored how IoT and Blockchain can combat cocaine smuggling in the maritime industry.